If you work in product fulfillment, there’s a really good chance that you have insight into this particular industry that you can share. Be it about kitting services or online order fulfillment trends, this knowledge can benefit others in the form of an information publication. This can both assist people and generate interest in your business. Before engaging in information provision, you have to determine how you plan to supply that information. Besides the obvious question of the media format, there’s also the content itself to consider. 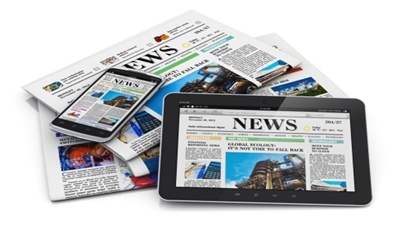 Finding suitable media for an information publication is actually easier than it used to be. If you have ever put out a print publication, you probably recall the difficulty of creating paper layouts, making copies, and performing early fulfillment distribution. While you can still use print formats, digital options, such as blogs and e-newsletters, are potentially easier and more affordable. When it comes to content, you have to consider what readers in your industry want. There are a lot of potential topics, including e-commerce, logistics, and kitting services. This is good for you in terms of having topics to create content for, but you need to organize properly. Also, don’t be afraid to take on sponsors or sell ad space. People wanting to display information about their business, such as a direct mail company, will want to advertise through your content to get more exposure. If you’re going to go the route of providing information, you have to have a lot of worthwhile information to share over the long term if you intend to be successful. Consider bringing on contributors or linking to an external news source. And always keep an eye on events in the industry so you have something to report on and/or to write an editorial about. If you can provide the information others want, they will be happy to keep subscribing to your publication for more.